John Taylor's last-minute conversion gave Wales a 19-18 win against Scotland in an epic match at Murrayfield. The lead changed hands seven times during a brilliant game, but the pendulum swung decisively in Wales' favour only after Taylor's effort. Gerald Davies had squeezed over in the corner for a try to make the score 18-17, and the kicking duties fell to openside Taylor, who had already scored one of four tries. With one walloping swing of his left boot he bisected the uprights, leading BBC Wales commentator Alun Williams to christen it as 'the greatest conversion since St. Paul'. 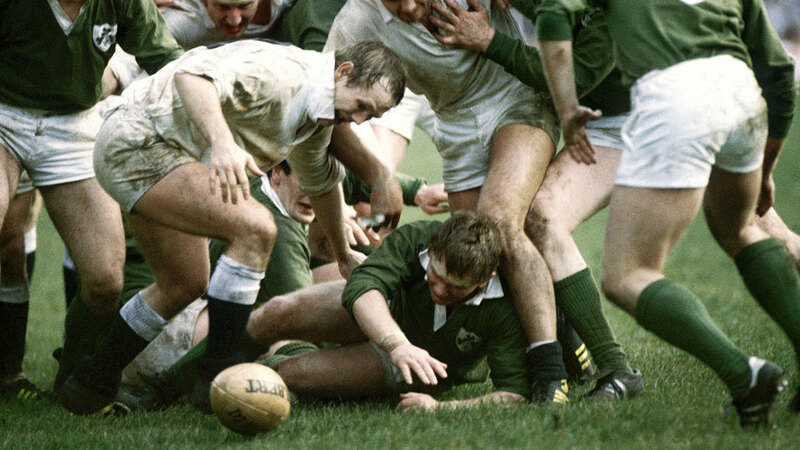 A rousing Gerry McLoughlin try, converted from the touchline by Ollie Campbell, gave Ireland a famous 16-15 win against England at Twickenham. It was more one-sided than the scoreline suggested - a Mike Slemen try, converted by Marcus Rose's conversion, flattered England. It was Steve Smith's first match as captain after Bill Beaumont withdrew after sustaining a neck injury the previous weekend; within days he had announced his retirement on medical grounds. John Leslie's try from the kick-off for Scotland against Wales at Murrayfield was the fastest scored in Test history - timed at nine seconds from the start. After a flying start, Scott Murray, Alan Tait and Gregor Townsend all scored for a 33-20 victory to kick off Scotland's charge to the title. The Wales-Scotland match at Swansea was marred by ugly scenes when the English referee was attacked and knocked down by spectators angered by some of his decisions. The 12,000 fans saw Scotland win 7-2 thanks to a try on debut from threequarter George Campbell and a conversion and try from forward John Boswell. England skipper Mike Harrison was subjected to football-style pillaring in the press - one headlined "Captain Bungle" - after a missed tackle let in Adrian Hadley as Wales beat England 11-3 at Twickenham, England's third straight loss and the third game in which they had failed to score a try. The press got their wish as Harrison was dropped - he never played for England again - and replaced by Nigel Melville. Newport supplied the entire Welsh back-row for the Five Nations match with Scotland. Brian Cresswell, Glyn Davidge and Geoff Whitson aid Wales in an 8-0 win at Cardiff. Wing Dewi Bebb scored their try in an 8-0 win, with fullback Norman Morgan kicking a conversion and penalty. Norman Gale's late try gave Wales a 14-12 triumph in a pulsating game against Scotland at Murrayfield to keep alive hopes of a first Welsh Triple Crown for 13 years. Wales eventually won the title and the Triple Crown, but missed out on the Grand Slam after losing their final game to France in Paris. Wales's Gwyn Evans became the first player to land six penalty goals in a Five Nations match. France, the repeat offenders, were beaten 22-12 in Cardiff. Terry Holmes scored the Welsh try, while the legendary Serge Blanco, playing on the wing, scored one in vain for France. Ieuan Evans's try, the only one of the match, brought Wales an unexpected 10-9 victory over Grand Slam champions England in Cardiff. It was the first time that the new five-point try has a decisive effect on the outcome of a Test.